Two bedside tables in solid American black walnut with oil finish. 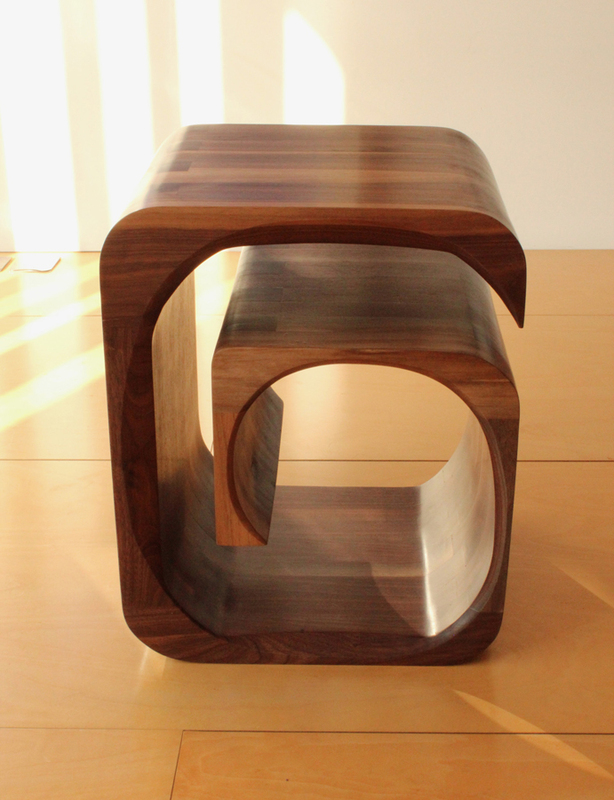 The client wanted a pair of simple sculptural bedside tables to put a book, ipod and a glass of water on. They are designed to also function on their sides as well as in the upright position.